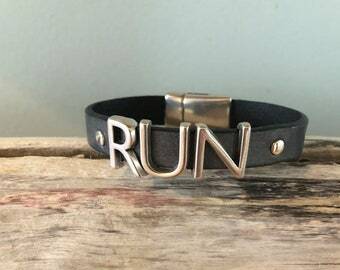 Celebrate an awesome achievement with this 100 Mile/100 Kilometer Leather Charm Bracelet! The leather cuff is 1/2" in width and can be ordered in 7,8 or 9 inch lengths, or message me and tell me the length you need. 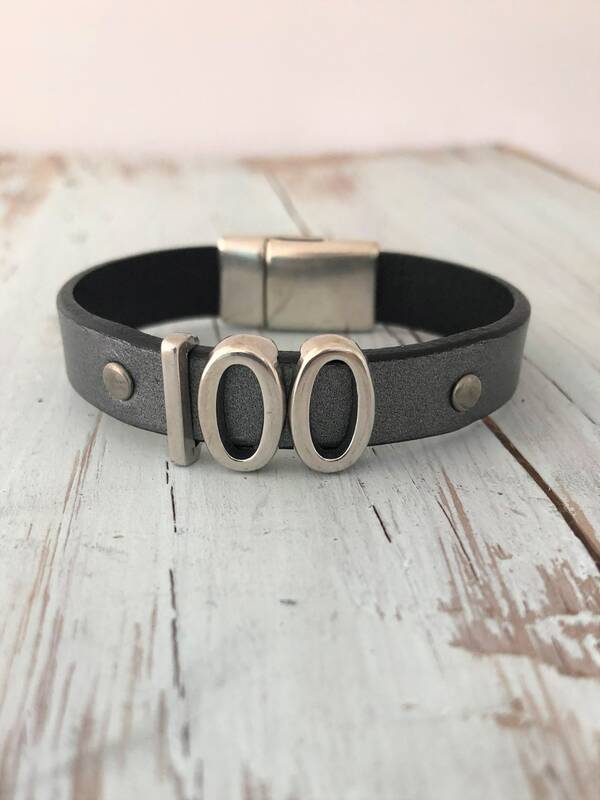 This bracelet features three silver slider charms, "100" and one silver rivet to either side of the 100. It is closed with a silver magnetic clasp that is easily twisted off with one hand. I currently offer the leather in a variety of colors: gunmetal, brown, navy, metallic blue, silver and teal. Contact me for customization add-ons.